As PCE breaks down in the environment, it becomes very toxic, according to Kristen Ritter Rivera, geologist and compliance officer with the Georgia Environmental Protection Division. 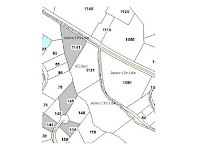 Two of the wells are on land owned by Courtney M. Elder Sr. and Courtney M. Elder Jr. and used as part of the operation of Oconee Waste Transport, according to maps filed in support of the application. According to Rivera, the EPD is waiting on the Elders to sign an access agreement with AmeriPride so construction of the remediation system can move forward. AmeriPride also needs a county building permit to construct the building where a carbon pretreatment process would be used to make the water safe to be released to the county’s Calls Creek sewage plant in Watkinsville. Rivera said she does not expect the negotiations over the access agreement and the building permit to delay the issuance of an industrial pretreatment permit by the EPD, but she said she does not expect the remediation system to be in place until summer. The EPD permit is now in the comment stage, and anyone interested in writing to the EPD about it has until March 23 to do so. The problem at the AmeriPride site has been known for a long time. Documents Rivera provided me indicate that PCE contamination of well water at the site was first discovered in 1991. The cleanup efforts played a prominent part in a controversial request in 2010 by Courtney M. Elder Jr. for rezone of agricultural land southeast of Watkinsville on SR 15 for a new home for Oconee Waste Transport. As part of materials provided to the county to support that request, Elder included a letter from AmeriPride stating that the existing OWT site was contaminated and that a “groundwater extraction and treatment system” would be located on the Elder property. The letter, dated Aug. 12, 2010, was from Joseph E. Peter, corporate environmental manager of AmeriPride in Minnetonka, Minn. It said the extraction and treatment system would be in place by the spring of 2011. Elder said AmeriPride’s need for the extraction and treatment site necessitated the move and the rezone request. Rivera said AmeriPride did purchase one piece of property from the Elders at 1141 Experiment Station Road and thought it was getting the second at 1131 Experiment Station Road, where OWT is located. The building to treat the water is to be located on the 1131 Experiment Station Road site. In the end, she said, the transaction did not produce the expected outcome, and the property at 1131 Experiment Station Road remains in the hands of the Elders, necessitating the need for the access agreement. 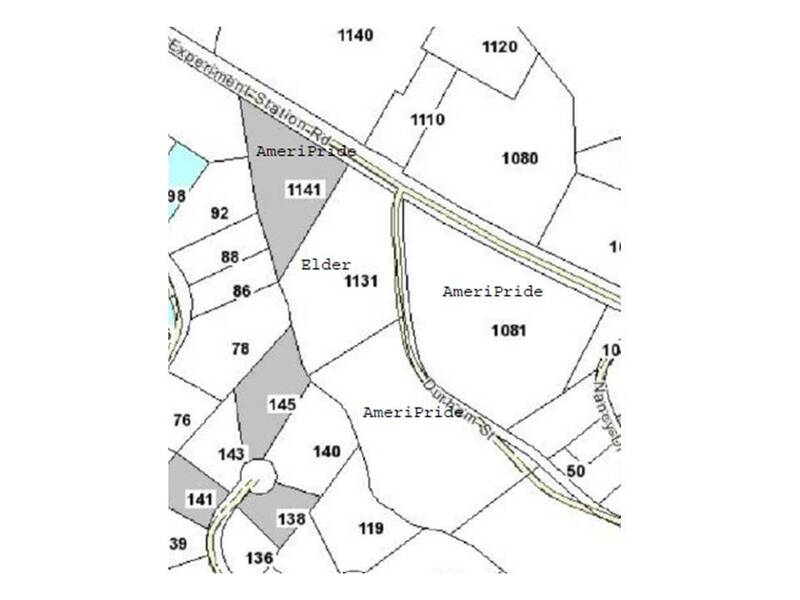 Oconee County tax records show that AmeriPride paid the Elders $712,500 for the 1.5-acre property at 1141 Experiment Station Road on Oct. 22, 2010. The property was valued in 2011 at $100,025, according to the records. The records show that the 2.4 acres at 1131 remain in the name of the Elders. That property is valued at $142,451. I checked with the Oconee County Property Appraisal Office on March 7 and was told the records are up-to-date and the property at 1131 is still owned by the Elders. The AmeriPride facility is at 1081 Experiment Station Road, across from the Oconee County Library. The AmeriPride property is separated from the Elder property by Durham Street. AmeriPride has its headquarters in Minnetonka, a suburb of Minneapolis. It is a privately held uniform services company. The draft permit from the EPD would allow AmeriPride to discharge restricted levels of toxic organics from the remediation system on the Elder property to the county treatment plant. That remediation system consists of the four extraction wells and collection piping and involves treatment with granular activated carbon, according to the summary of the permit provided to me by Josh Welte in the Watershed Protection Branch of the EPD. He was concerned about the damage any solvents remaining in the discharge would do to the sensitive membranes used in the Calls Creek plant. Thomas said he checked with the manufacturer of those membranes and then proposed lower numbers to the EPD. He said the permit drafted by the EPD specifies technical limits that are acceptable to him. “The spent GAC will be regenerated or disposed of properly offsite,” the letter continued. This system was to be installed at 1131 Experiment Station Road (the site owned by the Elders) by the winter of 2011/2012, according to the letter. AmeriPride, previously known as American Linen Supply Co., stopped doing dry cleaning at its Watkinsville plant in 1981, according a Site Summary dated March 21, 1994, and included in EPD files. Rivera provided me a copy of the document. American Linen discovered in 1991 that PCE had penetrated into the bedrock when two wells at the plant showed contamination, according to the document. AmeriPride was using the wells as a source of water for the plant. The company installed a series of monitor wells around the site at that time, the report said, and began monitoring for Volatile Organic Compounds (VOCs), including PCE and its breakdown products. At that time, no VOCs were detected in surface water from Tanyard Branch, which also is referred to as Tanyard Creek, according to the report. On Dec. 16, 1993, PCE was found in one of two county wells west of Experiment Station Road, and that well, referred to in the report as the Clarke Drive well, was closed down on Jan. 7, 1994, the report stated. According to a 1995 Compliance Statement Report , American Linen purchased the Watkinsville plant in1979 and phased out dry cleaning at the facility between that year and 1981. According to Oconee County Tax records, at least one of the buildings on the present site was constructed in 1950. In 1981, American Linen constructed a lagoon on a 3.9-acre lot across Durham Street behind the plant to receive discharge water from the plant. Prior to construction of the lagoon, however, the plant discharged wastewater onto the ground on that property near the property currently owned by the Elders, according to the report. “(T)he process wash water drained from the point of discharge down slope to Tanyard Creek,” the report states. “The discharge of waste waster may have contained PCE prior to the cessation of dry cleaning in 1981,” the report continued. The report said PCE could have come from two others sources, the dry cleaning machines and an above ground storage tank for PCE located just behind the plant. The report said both had been removed by the time the report was written. Rivera told me in an email on March 13 that the lagoon was eliminated in late 2001. Approximately 2,000 cubic yards of impacted soil was removed and disposed of, she wrote. Rivera explained in our telephone conversation on March 7 that PCE contamination had migrated from the AmeriPride site into fractures in the bedrock. Surface water seeps into these types of fractures. She also said the contamination now is reaching Tanyard Branch, which is sampled quarterly to monitor and document conditions. Based on this monitoring, “it appears that through such mechanisms as dilution and attenuation, the contamination naturally attenuates as it flows towards Calls Creek,” she wrote. This is what the treatment system proposed for the Elder property is designed to do. In that March 9 email message Rivera said the amount of time the remediation system needs to be in place will be determined by an analysis of the water pumped from the wells. In the application for the permit, AmeriPride said it expects the concentration of toxics will decrease over time, allowing the company to bypass the granular activated carbon system at some point . At that time, the groundwater will be pumped directly into the county sewer system, the application said. When the system is built, the water from the wells will be piped underground to the treatment building, according to the application. That building will be about half way between Tanyard Branch and Durham Road, the document indicated. According to the application, the building will have a footprint of about 12 by 25 feet and be built on a concrete pad that will be bermed to contain any spillage. Persons interested in commenting on the EPD permit request can send an email to EPDcomments@dnr.state.ga.us with the words “Public Notice No. 2012- 4ML and Permit No. GAP050278” in the subject line. The deadline for comment is the end of the day on March 23. Thanks for all your research on this. Very interesting - and frightening also.